New Campaign, New Game. Hades Betrayal Out Now! 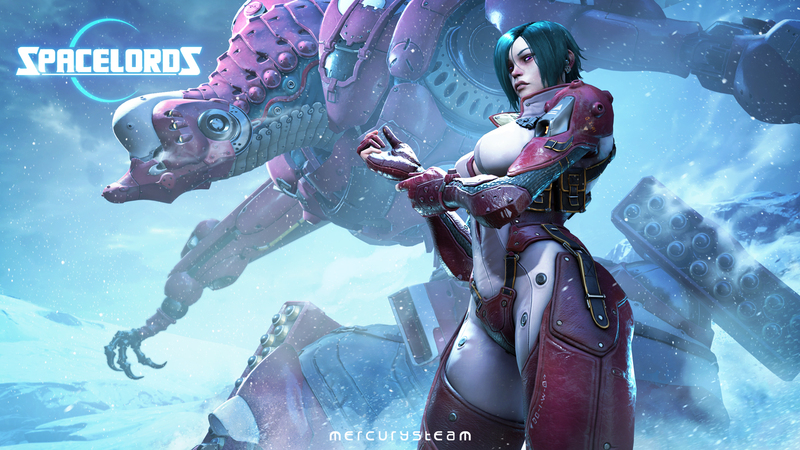 The Third Premium Campaign Brings a Complete Redesign, Radically Changing the Way Fans Play Raiders of the Broken Planet. Hades Betrayal, the third premium campaign for Raiders of the Broken Planet, is available now for PC, PlayStation 4 and Xbox One. Just like the previous campaigns, Alien Myths and Wardog Fury, Hades Betryal is available to purchase as a stand-alone campaign for just €/$/£9.99. Hades Betrayal includes four brand new epic story missions, playable in single-player, 4 player co-op or the intense 4 v 1 Antagonist mode, and a new exclusive character, the privateer Ayana. In this story arc, the Raiders will face the might of the Hades Division, the most powerful military organization in the galaxy led by General Krausher. Harec and his Raiders must struggle to convince Ayana to betray the Hades Division and join the Raiders if they want to have a chance to prevent General Krausher from deploying a doomsday weapon that will tip the balance of power on the Broken Planet in his favor. But those are not the only changes coming to Raiders of the Broken Planet. Hades Betrayal’s launch comes accompanied by a major overhaul to the Raiders of the Broken Planet’s progression and reward system, along with a visual redesign and inclusion of many new game features. Players will now be able to rank up to unlock new rewards, and with the new Forge system they can customize weapons obtained during the missions. Raiders of the Broken Planet is available now on Steam, the Xbox Store –Xbox One & Windows10- and the PlayStation Store. The free Eternal Soldier campaign contains two missions, seven characters and sets the stage for the incredible story to follow. Its third campaign, Hades Betrayal, is now available to purchase for €/$/£9.99 and includes the noble Ayana Kwena as an exclusive character.